Match ends, Paris Saint Germain 5, Lorient 0. Second Half ends, Paris Saint Germain 5, Lorient 0. Attempt saved. Sylvain Marveaux (Lorient) left footed shot from outside the box is saved in the top centre of the goal. Assisted by Zargo Toure. Corner, Lorient. Conceded by Thiago Silva. Walid Mesloub (Lorient) wins a free kick in the attacking half. Attempt missed. Jean-Kevin Augustin (Paris Saint Germain) right footed shot from outside the box is just a bit too high. Assisted by Marco Verratti. Offside, Paris Saint Germain. Christopher Nkunku tries a through ball, but Jean-Kevin Augustin is caught offside. Foul by Vincent Le Goff (Lorient). Foul by Jonathan Ikone (Paris Saint Germain). Matteo Guendouzi (Lorient) wins a free kick in the defensive half. Corner, Paris Saint Germain. Conceded by Sylvain Marveaux. Attempt blocked. Thiago Silva (Paris Saint Germain) right footed shot from the left side of the six yard box is blocked. Assisted by Layvin Kurzawa. Attempt missed. Layvin Kurzawa (Paris Saint Germain) right footed shot from the centre of the box misses to the left. Assisted by Marquinhos following a corner. Corner, Paris Saint Germain. Conceded by Michael Ciani. Corner, Paris Saint Germain. Conceded by Erwin Koffi. Substitution, Paris Saint Germain. Jean-Kevin Augustin replaces Edinson Cavani. Substitution, Paris Saint Germain. Jonathan Ikone replaces Blaise Matuidi. Blaise Matuidi (Paris Saint Germain) wins a free kick in the defensive half. Foul by Benjamin Jeannot (Lorient). Goal! Paris Saint Germain 5, Lorient 0. Lucas Moura (Paris Saint Germain) right footed shot from the centre of the box to the centre of the goal. Assisted by Marco Verratti with a through ball. Attempt blocked. Walid Mesloub (Lorient) right footed shot from the left side of the box is blocked. Assisted by Sylvain Marveaux. Substitution, Paris Saint Germain. Grzegorz Krychowiak replaces Thiago Motta. Hand ball by Matteo Guendouzi (Lorient). Attempt missed. Lucas Moura (Paris Saint Germain) right footed shot from a difficult angle and long range on the right is just a bit too high. Assisted by Edinson Cavani. Goal! 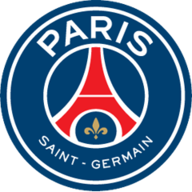 Paris Saint Germain 4, Lorient 0. Edinson Cavani (Paris Saint Germain) converts the penalty with a right footed shot to the bottom right corner. Paul Delecroix (Lorient) is shown the yellow card for a bad foul. Penalty Paris Saint Germain. Edinson Cavani draws a foul in the penalty area. Penalty conceded by Paul Delecroix (Lorient) after a foul in the penalty area. Substitution, Lorient. Matteo Guendouzi replaces Wesley Lautoa. Attempt missed. Christopher Nkunku (Paris Saint Germain) header from the centre of the box is too high. Assisted by Thomas Meunier with a headed pass. Attempt saved. Edinson Cavani (Paris Saint Germain) right footed shot from the right side of the box is saved in the bottom right corner. Assisted by Thiago Motta. Attempt missed. Benjamin Jeannot (Lorient) left footed shot from outside the box is high and wide to the right. Attempt missed. Thiago Motta (Paris Saint Germain) left footed shot from outside the box misses to the right. Assisted by Christopher Nkunku. Attempt missed. Lucas Moura (Paris Saint Germain) right footed shot from a difficult angle and long range on the right is close, but misses to the right. Assisted by Thiago Motta. Offside, Paris Saint Germain. Layvin Kurzawa tries a through ball, but Christopher Nkunku is caught offside. Substitution, Lorient. Benjamin Jeannot replaces Benjamin Moukandjo. Offside, Paris Saint Germain. Blaise Matuidi tries a through ball, but Edinson Cavani is caught offside. Goal! Paris Saint Germain 3, Lorient 0. Thiago Silva (Paris Saint Germain) header from the left side of the six yard box to the bottom right corner. Assisted by Lucas Moura with a cross following a corner. Corner, Paris Saint Germain. Conceded by Wesley Lautoa. Attempt missed. Christopher Nkunku (Paris Saint Germain) right footed shot from outside the box is too high. Assisted by Blaise Matuidi. Foul by Jimmy Cabot (Lorient). Second Half begins Paris Saint Germain 2, Lorient 0. First Half ends, Paris Saint Germain 2, Lorient 0. Attempt missed. Lucas Moura (Paris Saint Germain) header from the centre of the box misses to the right. Delay in match Edinson Cavani (Paris Saint Germain) because of an injury. Delay in match Paul Delecroix (Lorient) because of an injury. Own Goal by Zargo Toure, Lorient. Paris Saint Germain 2, Lorient 0. Substitution, Lorient. Jimmy Cabot replaces Majeed Waris because of an injury. Delay in match Majeed Waris (Lorient) because of an injury. Corner, Paris Saint Germain. Conceded by Vincent Le Goff. Attempt blocked. Lucas Moura (Paris Saint Germain) right footed shot from the right side of the box is blocked. 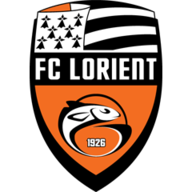 Majeed Waris (Lorient) wins a free kick on the left wing. Foul by Majeed Waris (Lorient). Foul by Benjamin Moukandjo (Lorient). Attempt missed. Christopher Nkunku (Paris Saint Germain) right footed shot from the left side of the box is too high. Assisted by Blaise Matuidi. Goal! Paris Saint Germain 1, Lorient 0. Thomas Meunier (Paris Saint Germain) right footed shot from the right side of the box to the bottom left corner. Assisted by Blaise Matuidi. Benjamin Moukandjo (Lorient) wins a free kick in the defensive half. Corner, Paris Saint Germain. Conceded by Zargo Toure. Attempt blocked. Thiago Silva (Paris Saint Germain) left footed shot from the centre of the box is blocked. Assisted by Marquinhos. Foul by Arnold Mvuemba (Lorient). Attempt saved. Lucas Moura (Paris Saint Germain) right footed shot from the right side of the box is saved in the centre of the goal. Assisted by Blaise Matuidi. Attempt missed. Layvin Kurzawa (Paris Saint Germain) header from the centre of the box is high and wide to the right. Assisted by Lucas Moura with a cross following a corner. Corner, Paris Saint Germain. Conceded by Paul Delecroix. Attempt missed. Majeed Waris (Lorient) right footed shot from outside the box is close, but misses the top right corner. Assisted by Walid Mesloub. Wesley Lautoa (Lorient) wins a free kick in the defensive half. Majeed Waris (Lorient) wins a free kick in the defensive half.